With CLZ Barry, we wanted to give you the best barcode scanning that is possible using mobile device cameras. That is why we have chosen to use the excellent RedLaser library for both the iOS and Android editions. RedLaser is still the providing the quickest and most accurate scan engine. Let’s start with the most important one. The current RedLaser SDK for Android does not support scanning UPC+5 barcodes. 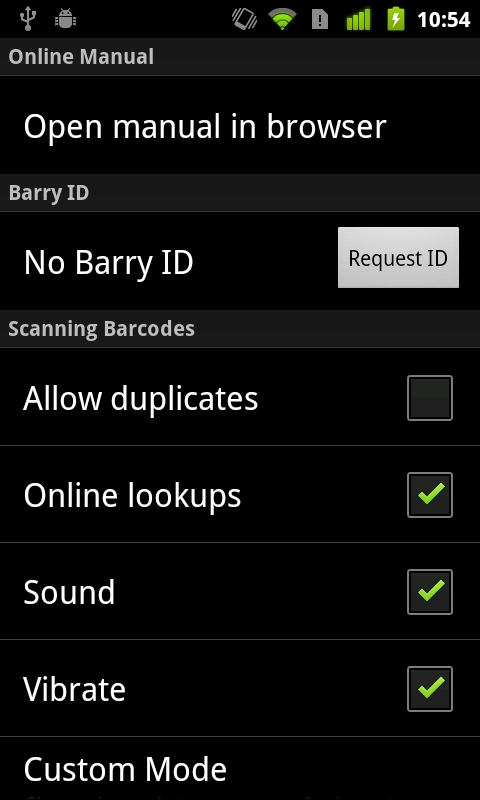 That means that Barry for Android will not be able to scan the 17 digit barcodes seen on comic books. It will be able to scan the first 12-digit part and you can still use that to add comics by barcode, but the barcode search result will be less exact. It most cases it will just give you all issues of the series, not the exact edition that you scanned. Scanning ISBN barcodes of comic Hard Covers and Trade Paperbacks will work fine. 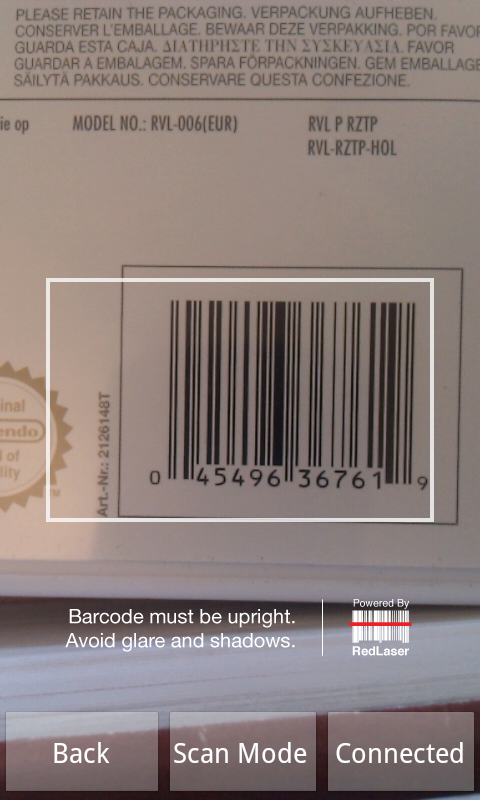 Important: this has absolutely no effect on other barcode types. 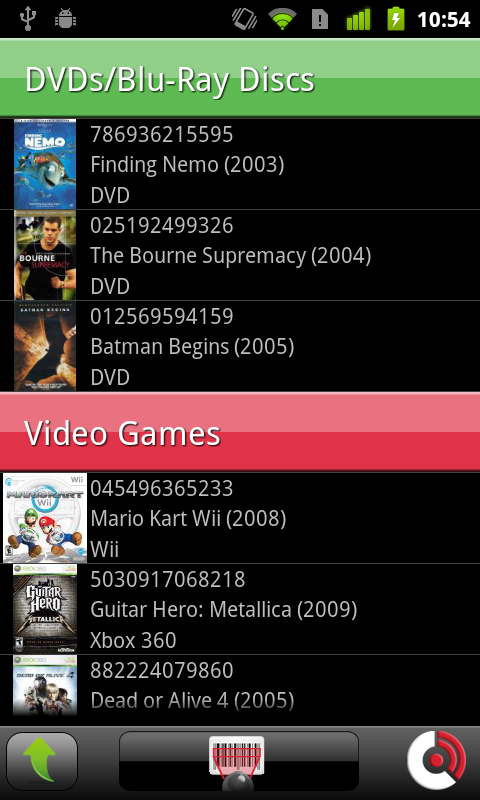 CLZ Barry for Android will have no problems scanning barcodes of DVDs, Blu-Ray Discs, CDs, books and video games. It will also support scanning QR codes and Code 39 barcodes. In general, the cameras in Android devices seem to be of a higher quality than those in earlier iPhones. So generally speaking, the camera scanning on Android works very well. However, because the RedLaser SDK is not as advanced as the iOS SDK, we expect that the scanning will be problematic on devices that do not have an autofocus camera. So we will probably decide not to release the Android app to devices without an autofocus camera. We will try to do some testing on non-autofocus devices and then decide how to proceed. If you own an Android device that does not have an autofocus camera, you can help us by trying the free RedLaser app and let us know the results. Also, the RedLaser SDK doesn’t give us any customization options for the scanning screen. The scan screen is just a camera view with a scan rectangle and 3 buttons at the bottom (they do allow us to change the text and functions of these buttons, hooray!). Pim will probably be able to “hack” some kind of HUD display for the scanned barcode list, but that’s about as far as we can get with the current RedLaser SDK for Android. So for now, no cool “scan eye” and red scan beam in the Android edition. We hope to be able to add this later. Apart from the above 3 issues, the CLZ Barry edition for Android will be exactly the same as the iOS edition, in both functionality and looks. Of course, the user interface will be more Android-like, e.g. we’ll be using the standard Back and Menu buttons as they should be used on Android.